The Royal Wedding between Prince Harry and Meghan Markle will take place on Saturday 19 May, at midday local London Time and morning in North America. 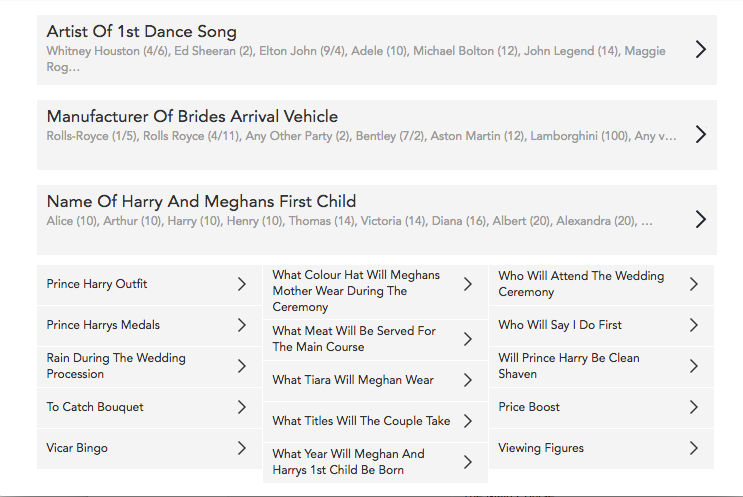 Those gambling websites that cater to North American customers will be offering the Royal Wedding odds as well. Saturday will be an unusually busy betting day with both the Royal Wedding and Preakness Stakes taking place. The later is considered Gambling911.com's 3rd most trafficked one day wagering event. The ceremony will be watched by Harry and Meghan's family and friends at St George's Chapel in Windsor; it will be followed by a carriage procession and two receptions, including a private one at Frogmore House in the grounds of Windsor Castle.